Beautifully isolated from Auckland by the Waitakere Ranges, Karekare offers spectacular coastal views, abundant rockpools and waterfalls, wild rainforest trails, and deep connection with the spirit of the natural world. 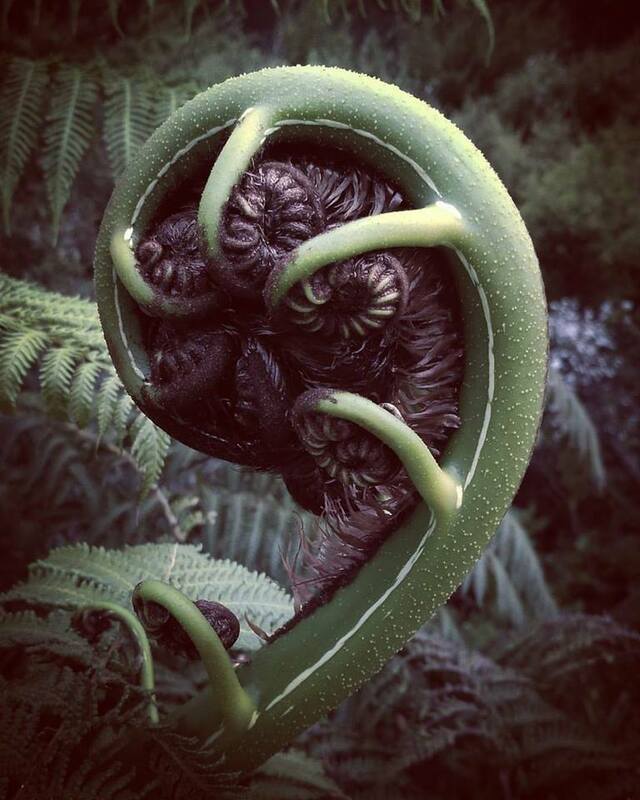 Sacred Earth Retreat is located within the dynamic landscape of the Waitakere Ranges. Densely forested, the hills provides a deep green backdrop to the west coast of Tamaki Makaurau (Auckland). The highest elevation in the range is 474 m (1555 ft), providing spectacular views overlooking the city to the east, and the Tasman Sea to the west. Boasting popular surf beaches at Karekare and Piha, the ranges are accessible from Auckland city within 50 minutes. The road that runs much of its length is aptly named Scenic Drive, and passes the Arataki Visitor Centre, where you can learn about the ranges and their history. Rich in history—from occupation by tribal groups (iwi) such as Te Kawarau a Maki, to the early logging workers and other settlers—Karekare is one of the most treasured beaches in Auckland’s west. Its full name is Waikarekare—the place of boisterous waters—which refers to the powerful, and often dangeroussurf. The bush-clad hills pour dramatically down into the black sand expanse, which extends several miles south to the heads of the Manukau harbour. Sacred Earth Retreat sits atop the hills overlooking the dense coastal landscape, the Kauri and Rata forests, and the winding Company Stream which merges into the sea. A wild landscape of ever changing elements, Karekare is often empty of people, but always full of wonder. Sacred Earth Retreat offers a unique access to the beach, with trails that allow you to explore the forests, the dramatic waterfalls, tall Kauri and Rata trees, and the quiet strength of a land that sings to the soul. As the beach opens out, it expands heart and mind, bringing a sense of freedom to the soul. The ranges are home to lush ferns, abundant Manuka, and magnificent Kauri—New Zealand’s tallest and oldest native trees. Beautiful native bird life, such as the iridescent Tui (pictured), the Wood Pigeon (Kereru), and Morepork (Ruru) can be seen and heard around Sacred Earth Retreat. Alongside birds, a host of other fascinating creatures populate the rainforest environment, including Kauri Snails (pupurangi), Glowworms (Titwai), native Bats (Pekapeka), and the unique Weta (large primeval insects).